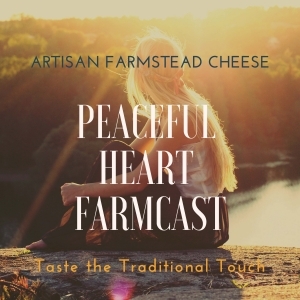 This episode focuses on the basics of cheesemaking. This is in preparation for the next episode which is about why cheese tastes the way that it does. It’s all milk. Why are cheese different? What Makes Food Taste So Good? is the topic of today’s show. The truth is, it is much more than taste. I’ll provide some details as to what taste is as it relates to our bodies. The sense of smell and touch also are needed to understand flavor. What Does It Mean To "Get In Touch With The Land?" Spring has finally arrived. At least the spring equinox has passed. I feel a weight lifted off my shoulders. Looking forward to sharing the homestead life with you. Today it’s about “getting in touch with the land”. Food preservation techniques is the focus of this FarmCast. You may learn some new lingo. There is also a great deal of information about how food preparation and presentation has evolved over time. History leads us from one place to the next. As the need arises, the world updates traditions to adapt.